For many of us, winter brings the pleasure of travel. For some, it’s an escape from cold and rain, or the best season to visit exotic locations; for others, it’s an opportunity to reconnect with distant family members. Work-related trips recently took me toCaliforniaand then toBarcelona, and this column was inspired by my “Strict Vegetarian” meal on KLM Airline on my return flight viaAmsterdam. My dinner tray consisted of roasted eggplant in a delicious sauce, couscous with currants and coriander, a diced beet salad with endive, and for dessert fresh fruit slices (pineapple, grapefruit, and kiwi) with a fruit sauce. Not bad, for an airline! Whether you have food sensitivities, are vegetarian, vegan, or a raw foods enthusiast, or simply want to be well prepared for healthful eating wherever your journeys take you, a little preparation will smooth your path and allow you to meet your food needs. Here are a few pointers. Although many airlines have eliminated meals on short flights, for longer flights, most have a meal service that includes special meals. For example, you can request a vegan or strict vegetarian meal or one that eliminates items to which you are sensitive. Discuss any food allergy or restriction when booking your cruise or other journey where meals are provided. Often you will be pleasantly surprised at how well you are taken care of. To discover what is available along your travel route and at your destination, do Internet research. 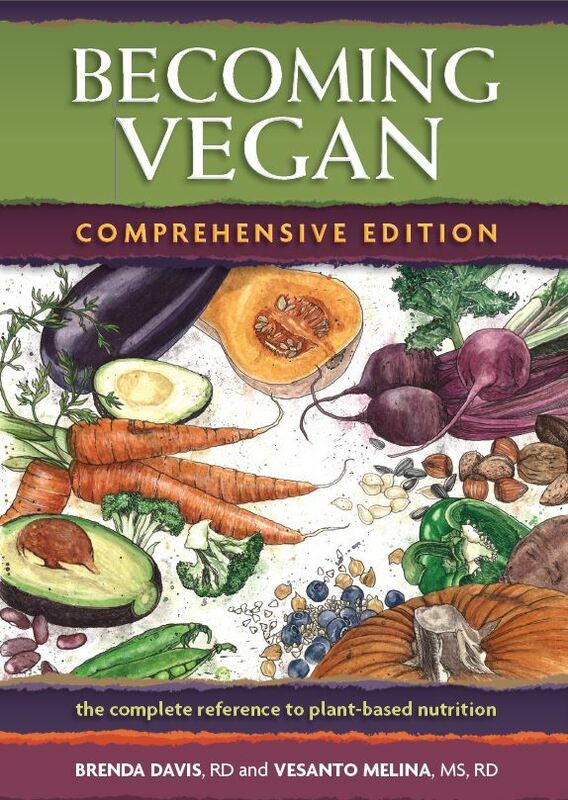 Vegetarian restaurants offer meals that are free of fish, dairy, eggs, other animal products, typically serve gluten-free grains, and provide entrees suitable for those with chronic diseases such as diabetes or heart conditions. 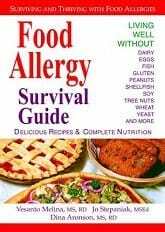 For restaurants on all continents, see www.vegdining.com and www.happycow.com , or do a search at www.ivu.org If you have food sensitivities, also check with allergy web sites. You may want to call or email restaurants ahead; if phoning, do so during their least busy times and talk to the head chef, owner, or manager. Explain your limitations and ask whether they are equipped to accommodate your needs. “The Vegetarian Journal’s Guide to Natural Foods Restaurants in theU.S.andCanada” is regularly updated and is an excellent resource for North American travelers and especially handy during road trips. It is available from www.vrg.org for $18. 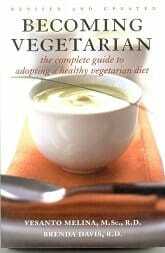 European guides are available from www.vegetarianguides.co.uk. 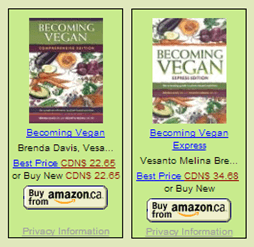 Our books, “The New Becoming Vegetarian” (US title), “Becoming Vegetarian” (Canadian title), “Becoming Vegan”, and “Raising Vegetarian Children” all have travel sections, as does the “Food Allergy Survival Guide. These are available at Banyen books, Chapters, and Amazon.com. Certain food items pack well for travel. Combine all of your favourite nuts and dried fruits to create a nourishing, interesting, and even exotic trail mix. You may want to bring nondairy milk in small containers or tetrapacks for use in hot beverages or on cereal; cereal, granola and muesli also taste good with fruit juice instead of milk. I was pleasantly surprised to find delicious fresh squeezed juices in airports throughoutEuropeand even in our ownVancouver’s departure area. Individually portioned dried instant soup mixes (such as black bean, lentil or a curry) are light and can easily be reconstituted with hot water in a motel room to give a protein boost. Silken tofu in tetrapacks can be mixed with seasoning and chopped raw veggies to make a dip or sandwich filling. (You may want to bring a little seasoning mix, such as Spike, from home. A multivitamin-mineral supplement can help you to top up your nutrient intake when food foraging becomes challenging on your journey. Since fitness profoundly affects how we feel, it’s wise to include this in our travel planning. When I travel as a speaker or to visit people I love, I tell my hosts that I prefer to include an hour of exercise daily, and ask if there are beautiful parks, swimming pools, or recreational facilities nearby. As a result, fitness becomes an automatic and often rich part of our itinerary. InBarcelonaas well as touring a Gaudi park, we went to an interactive playground that included an immense xylophone that allowed child or adult players to leap from note to note, playing a tune; teeter-totters that could trigger fountain sprays; and unique merry-go-rounds. These tips can help you to maximize your energy, stay fit and regular, and travel without compromising good nutrition. Bon voyage! 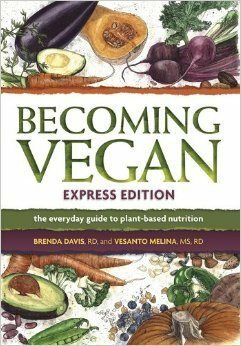 Vesanto Melina is a B. C. registered dietitian and author of best selling food and nutrition books. For personal consultations call 604-888-8325 (Fort Integrated Health Clinic) or 604-882-6782 (home office, near FortLangley); web www.nutrispeak.com.